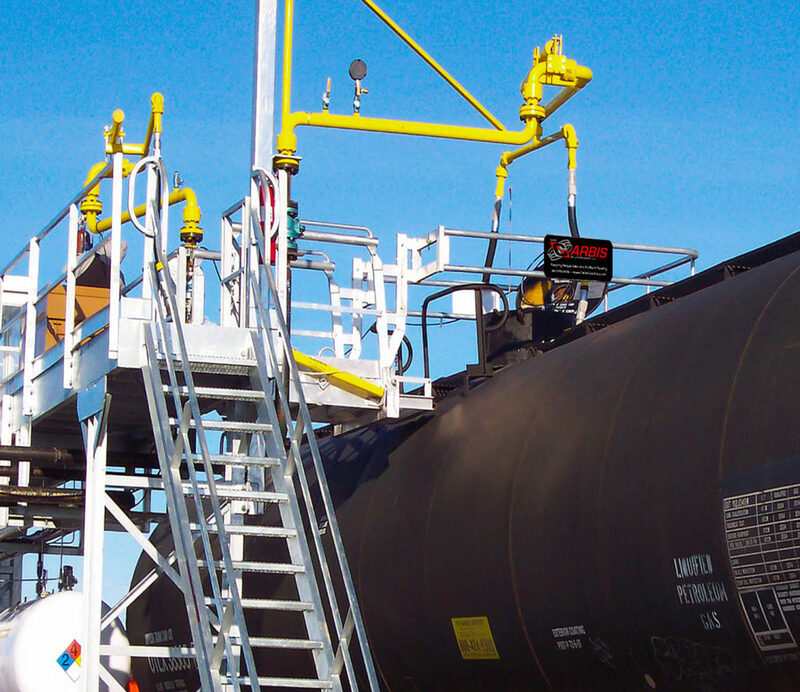 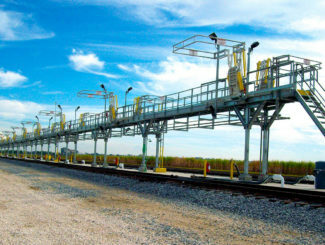 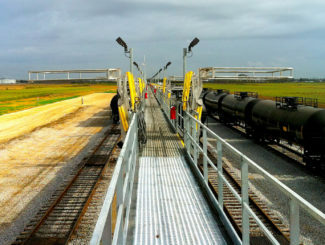 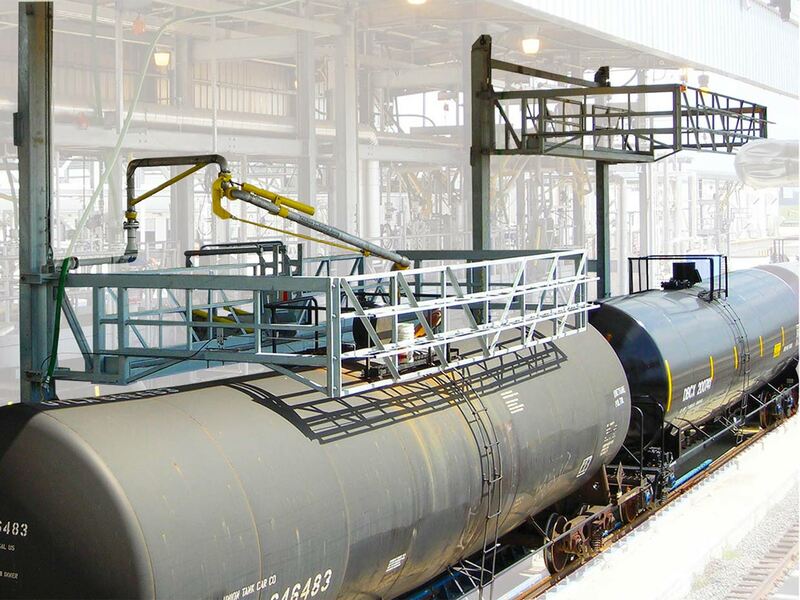 With the wide variation in rail car types and hatch configurations, your loading and unloading equipment must be designed to accommodate your facility and processes. 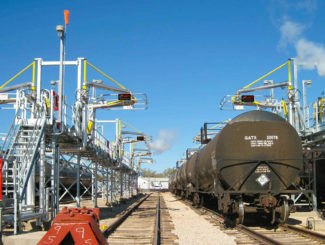 A comprehensive rail safety solution that’s tailored to your needs is the best way to meet these safety and efficiency challenges. 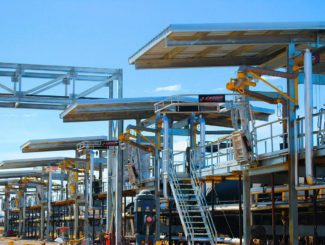 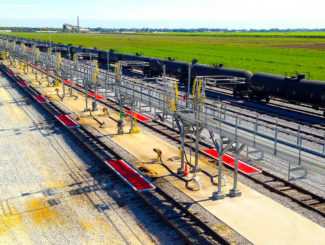 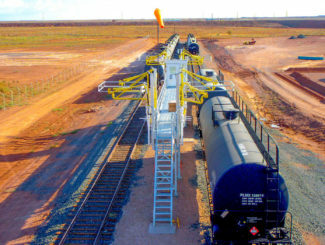 Since each rail loading facility has different needs and potential hazards, it’s essential to work closely with a trusted vendor. 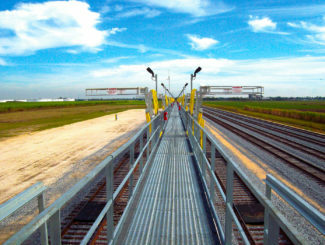 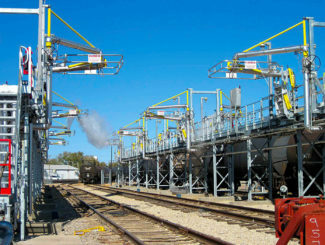 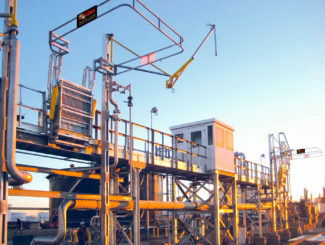 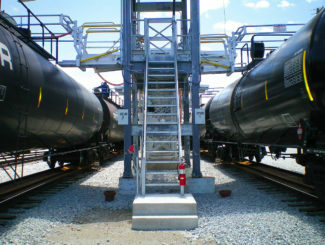 At Carbis Solutions, we create comprehensive rail safety solutions, drawing upon more than 40 years of experience in fall prevention designs applicable to rolling stock. 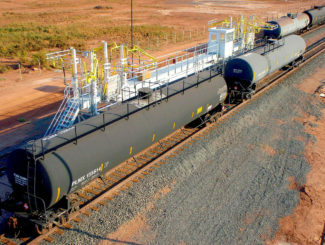 Hopper cars are used to transport dry bulk commodities, such as flour, sand, plastic pellets, sugar and grains. 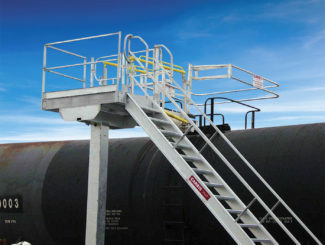 The hatches on top come in a variety of configurations, making it difficult to protect operators and creating spotting challenges. 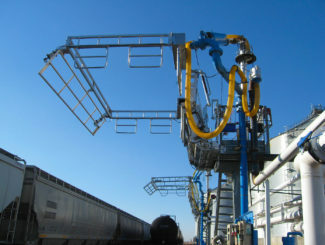 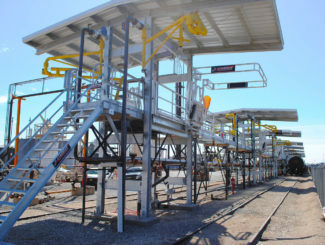 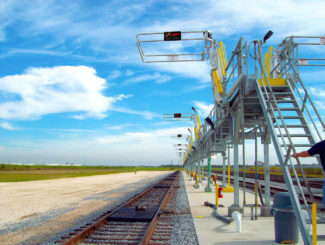 In addition, chutes and other loading equipment may create obstacles for safe access. 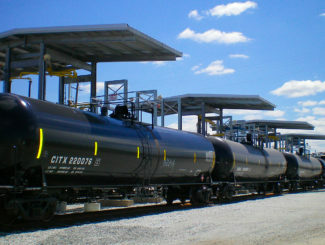 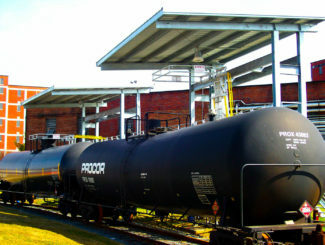 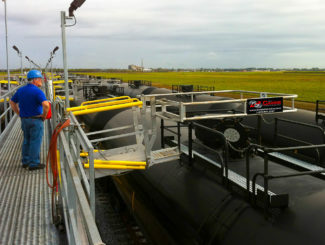 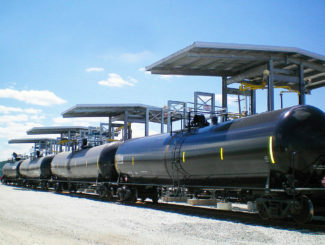 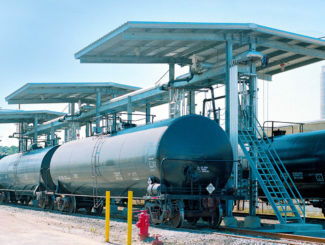 A tank car is designed to haul products in a liquid state. 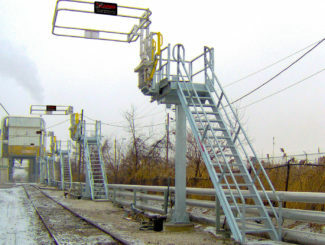 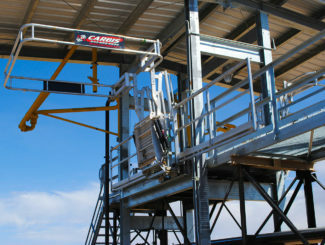 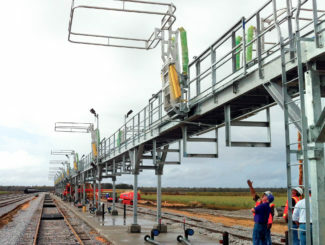 The variation in crashbox/operator platform railing configurations creates access and safety problems, as do offset crashboxes/operator platforms. 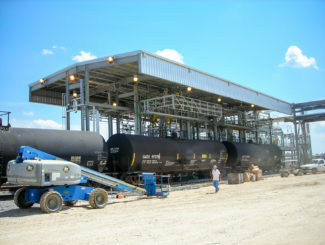 Contact Your Liquid Transfer Experts Today!